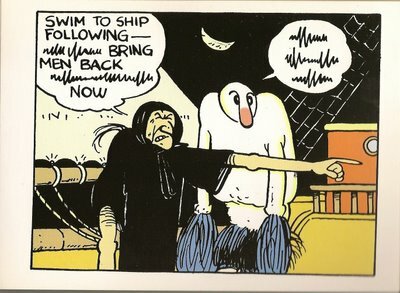 Welcome to another installment of It Came From Comics, a new series of indefinite length exploring everyday terms that were popularized by comics. Click here for the archive! 1921, "stupid person," from gony "simpleton" (1580s), of unknown origin, but applied by sailors to the albatross and similar big, clumsy birds (1839); sense of "hired thug" first recorded 1938 (in reference to union "beef squads" used to cow strikers in the Pacific northwest), probably from Alice the Goon, slow-witted and muscular (but gentle-natured) character in "Thimble Theater" comic strip (starring Popeye) by E.C. Segar (1894-1938). She also was the inspiration for British comedian Spike Milligan's "The Goon Show." What are now "juvenile delinquents" were in the 1940s sometimes called goonlets. So apparently the term "goon" was around in 1921 because of the term "gony," but it meant "simpleton." The modern meaning, meaning "hired thug" became popular in 1938 and apparently came from Alice the Goon. 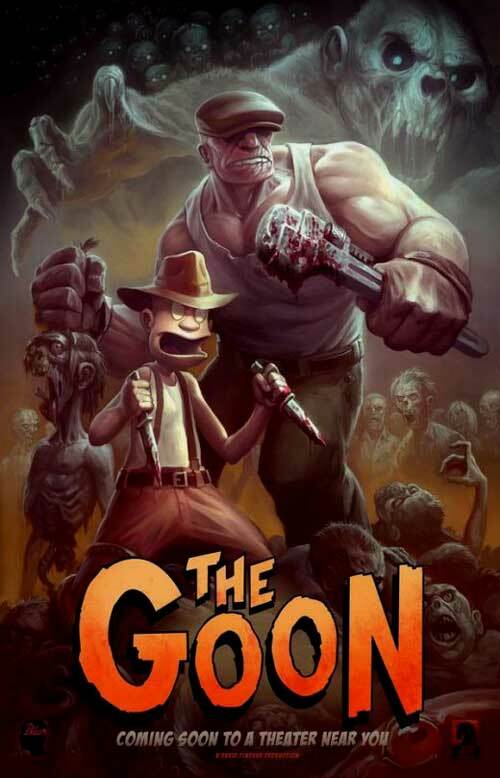 Who is Alice the Goon? Alice is a character created by E.C. Segar in 1933 for Thimble Theater, the same comic in which Popeye the Sailor made his debut. 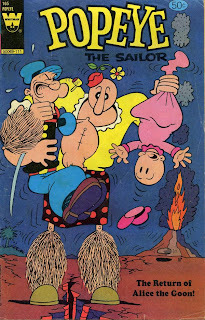 Alice was the muscle for one of Popeye's arch-nemeses, the Sea Hag, and was portrayed as a primitive or savage individual. Thanks to A View from a Goon for this pic. 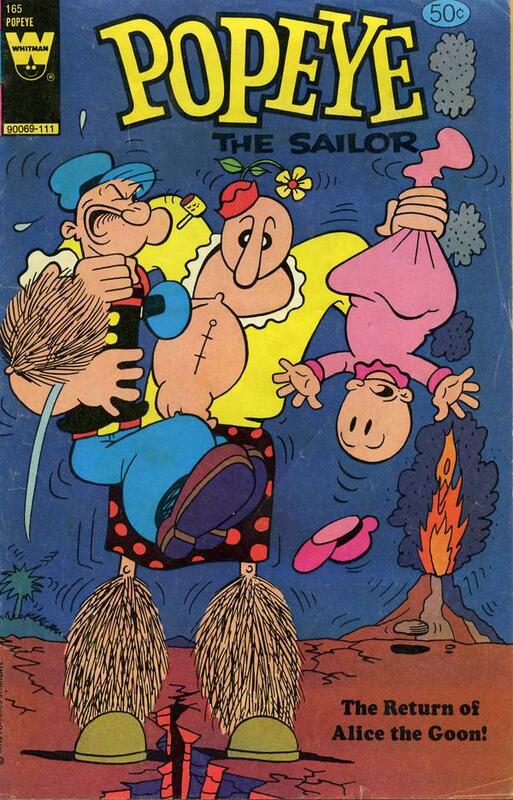 Eventually Popeye realized that Alice was a woman, a mother, and under the Sea Hag's spell, so he frees her. She's then given a more motherly attire afterward. So while Alice the Goon didn't actually coin the word "goon," she was in fact responsible for changing the definition of the word. 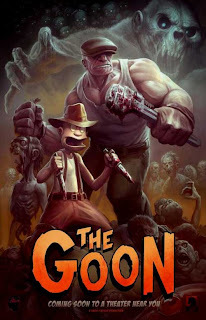 Today, "The Goon" is the name of the title character of Eric Powell's comic! 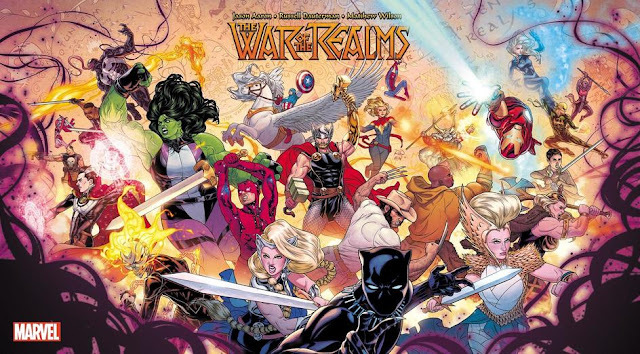 Do you have a suggestion for It Came from Comics? Email me at comicscube@gmail.com!